Anja Mittag ingressou no Paris Saint-Germain, finalista vencido em 2014/14, proveniente do Rosengård e procura tornar-se na melhor marcadora de sempre da competição. A avançada alemã Anja Mittag ingressou no Paris Saint-Germain, finalista vencido da UEFA Women's Champions League em 2014/15, proveniente do FC Rosengård, líder do campeonato da Suécia, numa altura em que procura tornar-se na melhor marcadora de sempre da competição na próxima temporada. Mittag assinou um contrato de dois anos com o Paris, derrotado por 2-1 pelo 1. FFC Frankfurt na final de Berlim, a 14 de Maio, mas vai voltar a jogar na Europa ao serviço do clube francês. A jogadora de 30 anos junta-se assim às compatriotas Ann-Katrin Berger, Annike Krahn, Josephine Henning, Linda Bresonik e Fatmire Alushi, que anunciou depois da final que iria fazer uma pausa devido a estar grávida. Os clubes indicados são apenas aqueles que a jogadora representou na Europa, mesmo que não tenha marcado. Pohlers hit 14 goals on the way to victory in Potsdam's debut season of 2004/05, a record since only matched by Margrét Lára Vidarsdóttir in 2008/09 and Frankfurt's Célia Šašić this season. After joining Frankfurt, Pohlers scored three goals in the 2008 final and added two more titles at VfL Wolfsburg in her last two playing seasons of 2012/13 and 2013/14, her tally of four wins shared only by Viola Odebrecht. Pohlers's tally of 48 goals took just 45 appearances. Mittag scored for Potsdam in the 2005 final against Djurgårdens IF DFF and was also part of Turbine's 2010 win before her move to Sweden. She has never struck fewer than four goals in any of her eight European campaigns – do that again and she will be the first to bring up 50 goals. While Mittag moves on, Marta remains firmly at Rosengård and will spearhead their 2015/16 European push. The Brazil striker was 18 when she made her European bow for Umeå, scoring in both legs of their 2003/04 semi-final win against Brøndby IF and three more in the two defeats of Frankfurt in the final. Surprisingly Marta has not won the trophy again, losing finals with Umeå in 2007 and 2008 and then in 2014 with Tyresö. Marta moved across to Rosengård and got four in their run to the quarter-finals last season including one in both legs of the away goals exit to Wolfsburg. Austria striker Burger made a bit of history in 2014/15 as she became the first player to score 40 goals for one team in UEFA women's club competition, having returned to Neulengbach from a spell in the United States with Houston Dash. However, Neulengbach will be absent from Europe for the first time since 2002/03 next season after their run of 12 straight Austrian titles was ended by FSK St. Pölten-Spratzern. The single-club record had long been held by Ljungberg, and indeed the Sweden forward topped the all-time competition rankings for a decade from 2002/03, when she scored ten as Umeå secured their first title, until Pohlers finally overhauled her in 2012/13. Had injury not contantly disrupted and then finally ended Ljungberg's career aged 30 in July 2009, she would surely still lead the table having scored at a rate of exactly one per game in Europe. Her loyalty to Duisburg means Grings did not play in Europe until their own victorious debut in 2008/09. She did hit the ground running with 12 in that campaign including a final first-leg hat-trick at WFC Zvezda-2005. Grings continued to score freely and in 2010/11 topped the ranking with 13 goals. Grings switched to Zürich and added four more in 2012/13; now retired and coaching Duisburg, her 38 European goals came in only 29 games, a strike-rate typical for a career as a whole in which she scored more than 500 times for club and country. Sweden striker Schelin, like Mittag, Marta and Burger, may never have topped the scorer's chart for a single season but her consistent goal-getting has been a feature of Lyon's campaigns for the last seven seasons. That included victories in 2011 and 2012, though oddly in three final appearances Schelin has never scored. The 31-year-old aims to put that right next season with Lyon having suffered two surprise round of 16 exits in a row to Potsdam and Paris while remaining supreme in France. Clubs indicated only those who player represented in Europe, even if they did not score. 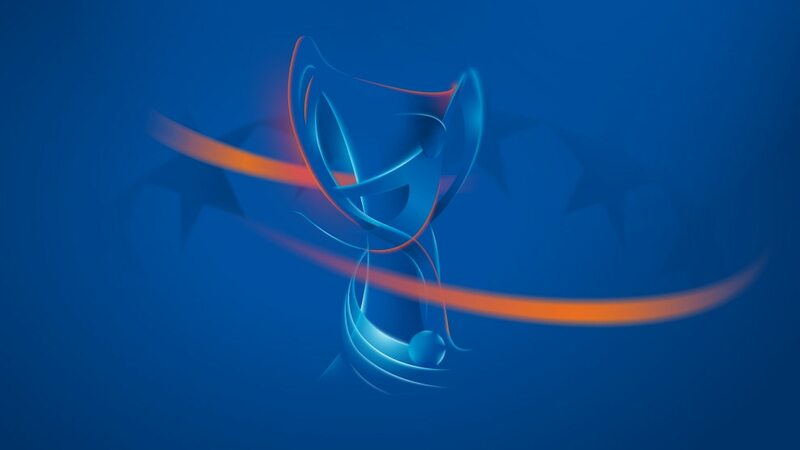 O final foi emocionante, mas o resultado revelou-se familiar: o UEFA.com olha para a UEFA Women's Champions League 2014/15 e para o quarto triunfo do Frankfurt. Célia Šašić, do campeão Frankfurt, teve uma época de sonho ao terminar como melhor marcadora da UEFA Women's Champions League com recorde partilhado de 14 golos. Antes de o Rosengård receber o Wolfsburgo na segunda mão dos quartos-de-final, Marta falou com o UEFA.com sobre a final da última época e sobre o que a levou a permanecer na Suécia.